Decorated in the style of a 1930s ocean liner, let our hotel surprise you as part of your adventure... all our crew are here to help perpetuate your dream of cruising. 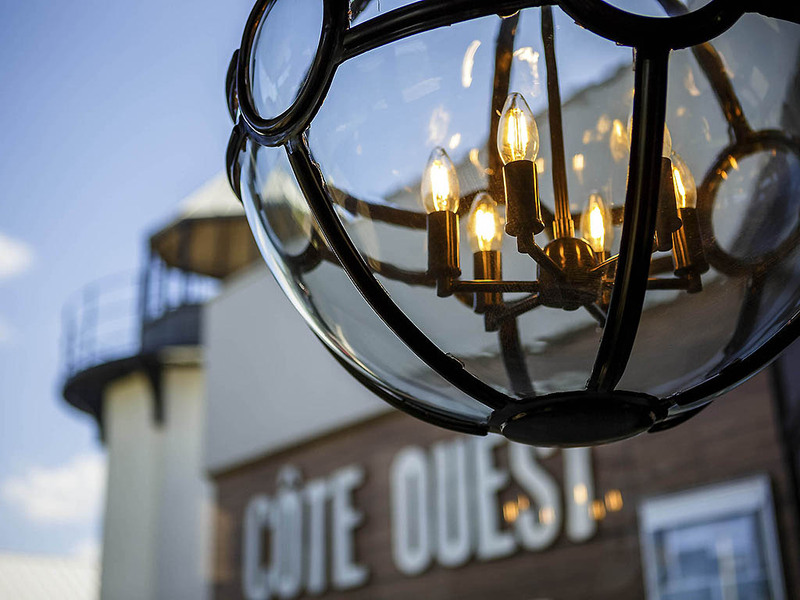 The Côte Ouest Thalasso & Spa hotel, sheltered by a pine wood and overlooking the ocean, offers a magnificent view over the Bay of Sables d'Olonne. Experience the ambience of a 1930s liner and discover the comfort of legendary voyages. The decor in each of the 97 rooms, including 3 suites, is reminiscent of an ocean liner cabin. The expert treatments in the thalassotherapy and spa area are dedicated to your well-being. The restaurant and lounge bar offer local flavors for you to savor in front of the sea. Use the excellent location of this Mercure hotel to discover Les Sables-d'Olonne: one of Europe's most beautiful beaches, a delightful port, the town of the famous Vendée Globe... and don't forget Puy du Fou, the Îles d'Yeu and Noirmoutier. Thanks to reproductions by painter Rob Stribley, the rooms in soft, warm colors are reminiscent of the cabins of legendary ocean liners. The 97 rooms, including 3 suites, offer views of the sea or pine forest and have a terrace or a balcony. Like the deck of an ocean liner, enjoy your private wooden terrace overlooking the sea and the Bay of Sables d'Olonne. Let your mind wander to the rhythm of the waves.